If you need cast iron cookware, Amazon has some big discounts on some very highly rated cast iron pieces. Get Dutch Ovens, Skillets, Woks and more at some of the lowest prices seen, starting under $17. Just go here to see all of the pieces included. 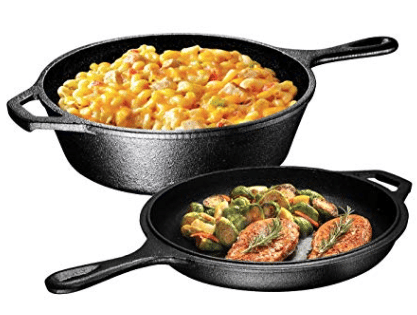 This cast iron cookware deal ends tonight at 2:59 am est or sooner if they sell out.